*sigh* That's the thing with these Internet projects. Sometimes they work first time, every time. Other times, not so good. Looking at my results, I see two things that could be possible. First. You mix coffee grounds, flour, and water and make a mud. I think that my mud wasn't quite wet enough. Sure, it held together like a snowball, but it was still a little brittle. Next time, I'll add extra water, try again, and report back. Second. It's possible that I didn't bake or "fire" them long enough or at the right temperature. When I made salt dough for some footprints of Lettie's feet, I baked them, then baked them again. There was no visible sign of wetness anywhere. Two years down the line, they're inside of a picture frame and look very solid. This is basically salt dough where the salt is replace with coffee grounds. 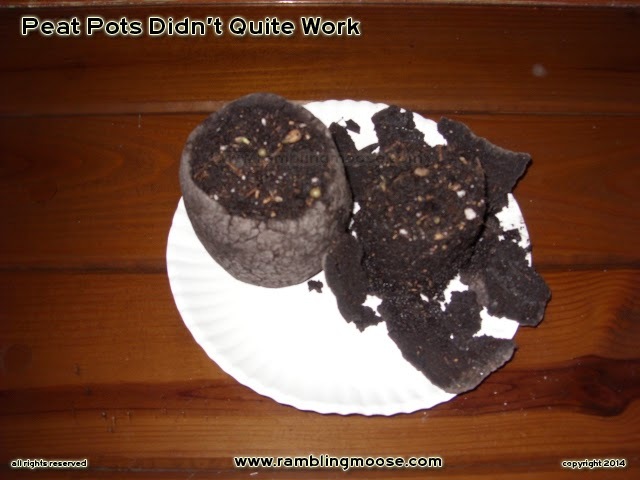 If you check the picture of the results, the inside of the pots looked markedly wetter than the outside. The one that fell apart was probably too thin for the job. The second one that is intact in the picture fell apart later that same afternoon when I got wet soil in there. In case you're curious, yes I will do it again when I have enough coffee grounds. I generally have coffee a couple times a week, so at 26 grams of grounds per mug, that will take a while to get to where I want to be. Since I always need plant pots, this will help me out if I can figure out all the fine tuning. I must be that big kid that likes to play in the mud. I usually have some seeds somewhere that need a little help to get them going. I've planted loads of weird things since I landed here in the land of sunshine, palm trees, and critters that try to move your house away. 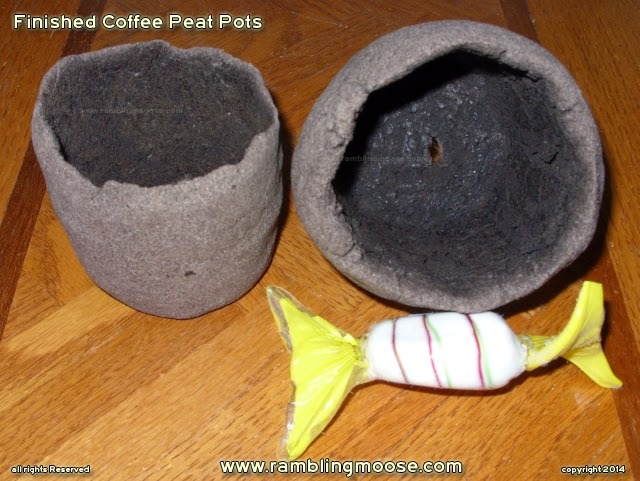 The pots now have been scooped up and placed in some decidedly non-biodegradable but recyclable plastic pots saved from some cream cheese containers, and are going to serve as the start for some "regular" lemon tree seedlings. I have more seeds rooting if the originals don't "take". By the time I get enough coffee grounds for the second try in a month or so, I'll have more seeds to try again. I would like to start a Key Lime from seed. Why not? I have always loved a challenge no matter what it has been in, whether horticulture, agriculture, or technology!